It’s no longer news that leading home appliance manufacturer, Nexus just added the Ex-Big Brother Naija housemate Uriel to the family. Barely two weeks after the signing, the duo is set to go on the long anticipated Nexus Kitchen Tour in 5 cities – Lagos, Port Harcourt, Abuja, Ibadan and Enugu. Port Harcourt will be the first in line for “The Nexus Kitchen Cookout with Uriel”, a fun show that would feature Uriel exploring Nigeria’s unique tastes by cooking LIVE in her own Nexus Kitchen. The show which will enable participants interact with a range of amazing Nexus appliances, kicks off at 4p.m. on Saturday the 8th of July 2017 at Higi-Haga Worldwide: 238, Iyowuna Drive off Peter Odili, by Market Square, Port Harcourt. 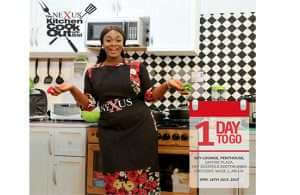 Other celebrity guests such as Thin Tall Tony would also be making appearances at the Nexus Kitchen Port Harcourt Tour. Topping the list of expectations from the show is a rare opportunity to pick up Nexus home appliances at unbelievably affordable prices during an auction in the course of the event. Refrigerators, ovens, air fryers, water dispensers, gas cookers, freezers, washing machines, air conditioners, microwaves and lots more are up for grabs at mind-blowing prices. 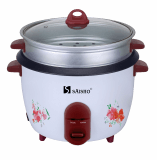 Kitchen appliances such as electric jugs, sandwich makers and blenders will also be given free to some lucky attendees. Did I mention lots and lots of food? You can follow this event on Nexus social media handles @nexusappliances on Instagram & Twitter and www.facebook.com/Nexusappliances on Facebook or simply visit www.nexusapplainces.com.ng to view the range of amazing products available. 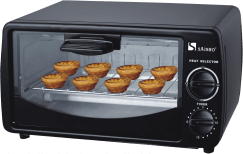 Don’t dull yourself; make sure you come along with that “toaster”, not the appliance but that guy who has been on your case. I mean that one that has been telling you sweet, sweet things. He should come and prove himself. For the fit-famers out there, we have the Nexus Air fryer that is ideal for you. There is something for everyone!